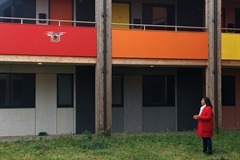 The Sunday Politics cameras came to Mitcham to see the wonderful Y:Cubes. Modular homes like these are cheap, efficient, quick to build, transportable, can last up to 120 years, and don’t rely on traditional building materials! 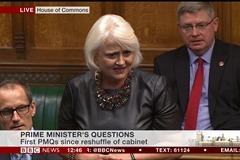 The House of Commons was in shock when Siobhain told the story of her constituent Ava to the Prime Minister. Ava has been made homeless because of fostering and now can’t foster as she’s homeless. How is this in the interest of Ava, the children she can no longer foster, or indeed the British taxpayer? Father Christmas is simply not in a position to influence the budgets of local authorities. But this Government is. 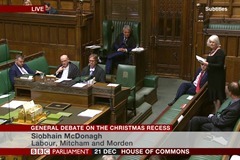 And on behalf of the 128,000 homeless children across the country, Siobhain sincerely hopes that this will be their last Christmas morning without a place to call home. 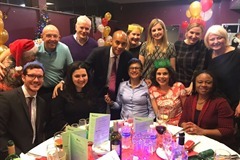 I was delighted to welcome Chuka Umunna MP to Mitcham & Morden for our wonderful Annual Christmas Dinner. 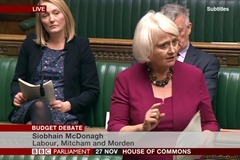 I call upon the Government to grant Local Authorities the right to build and the right to buy so that housing can be let to families on low incomes at social housing rents. If the Government target of building 300,000 new homes is to be achieved, councils simply have to play their part. 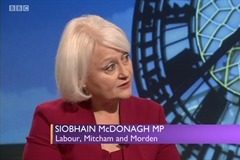 On Sunday 19th November Siobhain appeared on Sunday Politics to talk all things Brexit, the housing crisis and the upcoming budget. Astronomical burial charges are simply exploitative at a time of grief. It is high time that this tax on grief is put to rest. 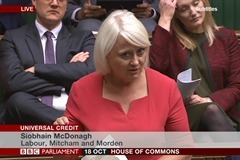 The botched roll-out of Universal Credit has caused country-wide chaos and misery. 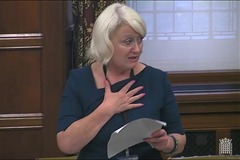 I called on the Government to change the 6-week payment delay before families face eviction. 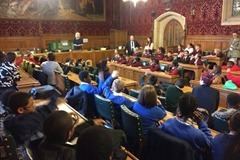 Over 100 school children from 10 different local primary schools visited Parliament to mark Local Democracy Week. Loud and Clear: Save St Helier! 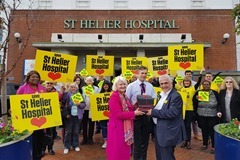 Thousands of constituents have written to Daniel Elkeles, the CEO of Epsom and St Helier University Hospitals NHS Trust calling for St Helier Hospital to retain it's acute services.